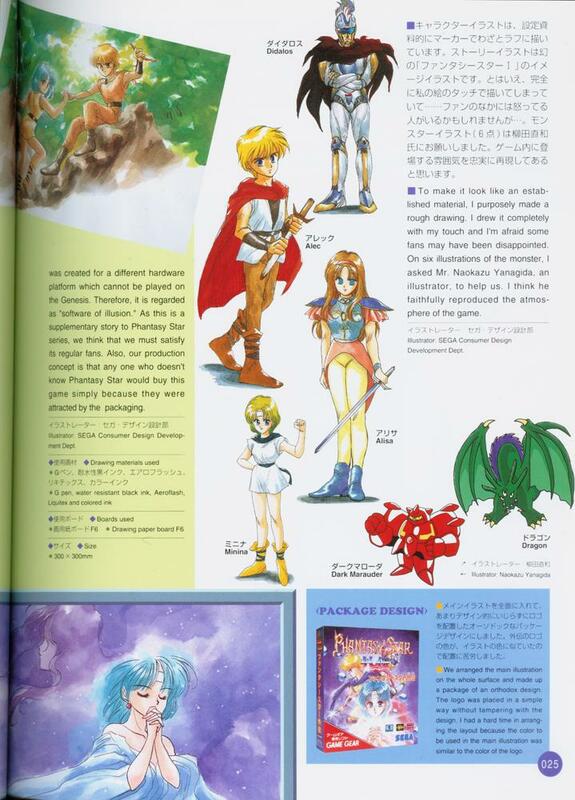 The continuing coverage of Phantasy Star Gaiden in the book Sega Video Game Illustrations highlights the main cast members. An anonymous SEGA illustrator responsible for their main artwork describes his creation process. A second illustrator is also named as the creator for the two monster designs pictured. From the comments that began on the previous page, we can learn that this game was especially targeted to players unfamiliar with the Phantasy Star series. The developers also attempted to craft an adventure that was satisfying the fans of previous titles. Looks like a great article and images of PS.